SMA912DSR AC SCANNER SMA912D WITH CLEAR FLAT LENS. VALU-BEAM: Emitter. Range: 60 m; Input: 10-250V ac/dc. Output: Not applicable – No outputs. 2 m (6.5 ft) cable. 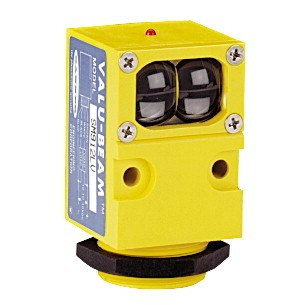 VALU-BEAM: Glass Fiber Optic Emitter. Range: depends on fiber; Input: 10-250V ac/dc. Output: Not applicable – No outputs. 2 m (6.5 ft) cable. VALU-BEAM: Emitter. Range: 3 m; Input: 10-250V ac/dc. Output: Not applicable – No outputs. 2 m (6.5 ft) cable.